All are welcome to our worship service tomorrow at 10am. Worship leader: Ted Smith, who will also lead us around the Lord’s Table (Communion). Come along and worship our Lord and Saviour Jesus Christ, followed by fellowship over a cuppa. Report on course No 16, October 2012. The team of Christians, from lots of different denominations, converged on Mobilong Prison on the 16th of October. They went back each day until the 19th, in which time they presented the well documented ‘short course’. The basic Christian message is explained through the personal experience of team members, and at the same time the guests (prisoners) are shown real care and kindness as a demonstration of the no judgement stand that we Christians take. The team of 36 – some going in, and some outside preparing food etc, worked with 24 guests. One was transferred to another prison, and one dropped out, so 22 guys went right through, most of whom gave some sort of a testimony at Friday’s closing ceremony, attended by 150 Christians from around the state. Among our guests were two Moslems and one atheist. Some of our guests knew of Jesus through an early childhood engagement, but it always surprises us just how many know absolutely nothing about Jesus. The team roster themselves, so that a group go back every Tuesday afternoon to what we call ‘Journey’ and it is really over the next few months where we see those who really commit to changing their lives. Mobilong has chaplains, and is visited by Prison Fellowship, so there are other avenues to use. Our aim is for the prisoners to establish Christian sharing groups within Mobilong – ie a blokes’ church. For the last few years they have run a Church in the Gym every Sunday morning. We hope that many of these new ‘graduates’ will choose to join that Church. This Church is the base camp, as it is equipped with a commercial kitchen, and the congregation allow the chaos it creates. There were 5 of our church members on team, and the team from Adelaide were billeted by Church members. 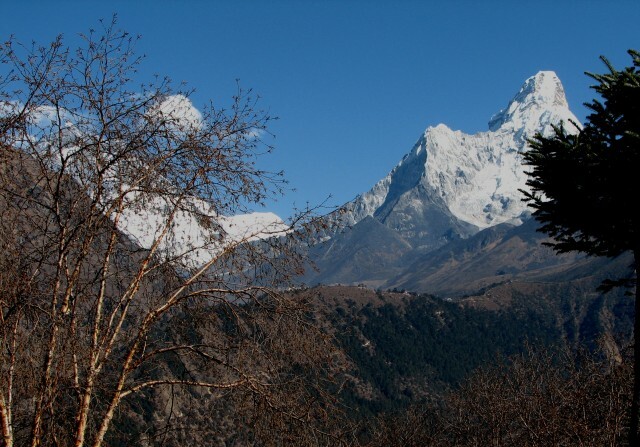 Some years ago I had the privilege of visiting the beautiful – war torn – Himalayan country of Nepal. It was a life changing experience. Ever since I have had a burden for this country. Today the country is still struggling, and the tiny Christian community is facing great hardships. Nepal –Some of the believers from the provinces of Nepal, who travel to the city for theological training, hesitate to return to their villages. Pray that God will raise up workers who are passionate about ministering to the village areas, where Christ is not yet known. What a wonderful time of praise and worship in our church today! During our service there were many points of praise during our time of prayer: praise for answered prayers, praise for God’s provisions, praise for God working in people’s lives as well as opportunities to lift our voices in praise for what Jesus did for us on the cross. Amazing. This was followed by an encouraging – and challenging – message from the first 4 verses of the wonderful book of Nehemiah. The walls of Jerusalem were broken down and this brought Nehemiah to tears. He fasted and prayed for months, bringing the predicament before God. He knew that the city walls needed to be rebuilt on a solid foundation. Likewise, our lives, when we are aware of the ruins brought about by sin, need to be rebuilt on a solid foundation. We need to rebuild on the foundation of Jesus Christ; nothing else will work. The service was followed by a great time of fellowship over a shared lunch. There was much joy, laughter, tears (from laughter) and satisfying food. Very satisfying food. There was serious talk too, and words of encouragement, and even times of praying privately with people. The lunch was followed by our AGM where reports were presented from the various ministries within the life of the church. It was an encouraging time as we reflected on the wonderful way God has blessed our congregation over the last twelve months. What a wonderful blessing we had a few weekends ago celebrating the Centenary of our church. It was wonderful seeing familiar faces from years gone by and to renew friendships forged sometimes many decades ago. It was a time of reminiscing and remembering God’s faithfulness over the last 100 years. The photos helped to bring the past to life and, together with the special booklet produced for the occasion, memories we thought we’d forgotten, were stirred. He gives us hope – and a future. It’s something we should all be eagerly anticipating. We have a hope that is promised – our salvation which is safe and secure in Christ Jesus. It is a certain hope with no room for any doubt. We also know we have a certain future – eternal life through Christ’s victory over sin and death. Welcome to the new website of the Murray Bridge Church of Christ, South Australia. In this section we will have news, coming events as well as photos and reports of past events. Our editorial team is also planning regular articles we hope you will find helpful, inspirational, and challenging – perhaps all three! It is perhaps quite fitting that our church is launching out into the digital world at this point in our history. Only a few weeks ago our fellowship celebrated its Centenary. The 15th September 2012 marked one hundred years exactly since the establishment of the church. The old church building followed a few year after this, and in 2004 we moved to bigger and better facilities in our present building. The old church was demolished, and a fast food outlet built in its place. You are currently browsing the archives for the month 'October, 2012'.